We all need vitamins and minerals to sustain good health and keep our bodies functioning properly. These nutrients are what our bodies need to grow, repair, heal and sustain our body’s cells, systems, organs and skeleton. The problem is that many of us do not consume enough to maintain optimal health, and, as a result of this deficiency, experience illness, fatigue and disease. Throw in an injury like an automobile accident or certain medical conditions, and symptoms such as pain, loss of mobility, muscle weakness, nerve damage and joint problems can be made worse by this shortage. Not only this, but recovery can be hampered. This is why your chiropractor may suggest that you consume micronutrients, either through your diet or supplements — they will allow treatment to work more effectively. There are 13 essential vitamins. 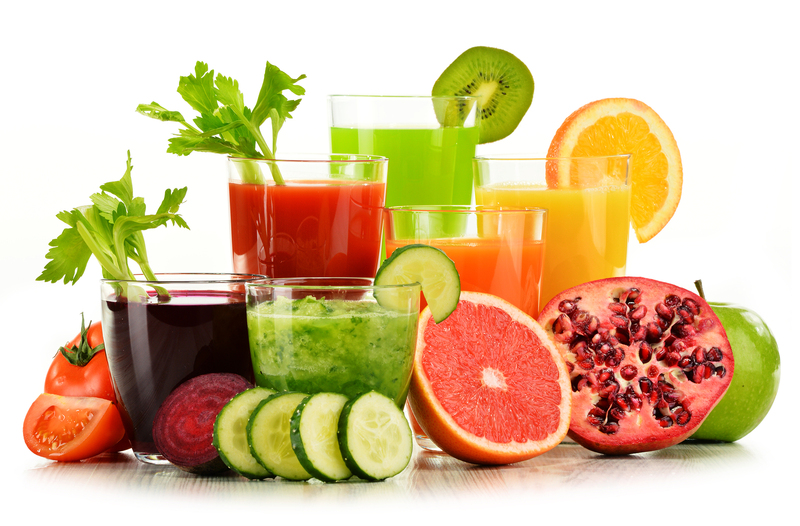 They are organic substances that are categorized as fat soluble and water soluble. Fat-soluble vitamins — including vitamins A, D, E and K — attach to fat in the stomach and are stowed away in the body, where they can be used for later. Water-soluble vitamins — including biotin, vitamin C, folic acid and B complex vitamins — are taken in directly by cells. However, because they are easily flushed out by our system, they need to be restored more often. Minerals, on the other hand, are inorganic substances, and are grouped as macrominerals or trace minerals. Macrominerals are what the body needs in large amounts while trace minerals are only required in minute doses. Like vitamins, they are necessary for function, growth and development. Here is a list of some vitamins and minerals you should talk to your chiropractor about incorporating in your treatment. Biotin. Found in salmon, eggs, avocados and whole grains, biotin is fundamental to cell growth. It also helps our bodies transform the food we eat into energy, which, in turn, influences our body’s abilities — from thinking to movement. Iron. This mineral is important, as it helps distribute oxygen to our cells and aids in the production of neurotransmitters. It can be found in red meat, leafy green vegetables, some beans and potatoes. Calcium. Found in milk, yogurt, tofu, cheese and spinach, calcium does more than aid in bone development. Calcium is a mineral that is also essential for blood clotting, muscle function, hormone secretion, stabilizing blood pressure and ensuring nerves are signaling properly. Try partnering calcium with magnesium for an added punch. This macromineral helps in many of the same ways as calcium. It is found in oat bran, spinach and bananas. Choline. This water-soluble B vitamin can be found in eggs, milk, beef, broccoli and Brussels sprouts. It is a building block of acetylcholine, which is a neurotransmitter that is vital for brain and nerve activities, particularly those that regulate muscle movement and memory. Those who are deficient may be at greater risk of atherosclerosis and neurological disorders. Copper. When you think of copper, you might visualize the pennies in your purse or pocket, but this trace mineral — found in oysters, nuts and raw mushrooms — is essential in the development of red blood cells, and is important for immunity and proper nervous system function. A deficiency can lead to bone deterioration, anemia and a low white blood cell count. Potassium. This macromineral and electrolyte has a host of benefits. Not only does it help steady your heartbeat, transmit nervous system signals and aid in proper muscle function, it is important for kidney function, lowering your blood pressure and strengthening your bones. Those with deficiencies may experience muscle weakness, muscle cramps, abdominal pain, fatigue, bloating and constipation. Manganese. This trace mineral — found in pecans, oatmeal, green tea and brown rice — is also an antioxidant. It’s not only useful for wound healing, but it aids in bone development and metabolism. Before taking vitamins and minerals — especially supplements — be sure to speak with your chiropractor or nutritionist first. While getting nutrients is important for your health, taking them in excess can lead to adverse effects like toxicity. Remember: everything in moderation. Your chiropractor or nutritionist, should they suggest these or other nutrients, will discuss how and when they should be taken. The online instant HTML editor tools make a great resource that will help you a lot in your work. We strive to provide complete care for our patients. Learn more about all of the services we provide. Our 96th Street office is convenient to north Indianapolis, Nora, Carmel, and Zionsville. "Thank you Dr. Johnson - your gentle and holistic approach to chiropractic care and wellness is greatly appreciated. Your work and that of your wellness team is among the best!"